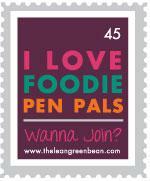 Guess who’s back, back again, Monday’s back, tell a friend…sorry, had to! 🙂 Time for a whole new week of opportunities to be the best me (and you)! 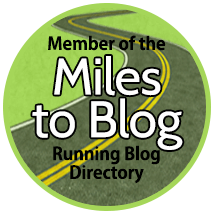 After I uploaded my race information on Garmin Connect this weekend, I noticed that I have run 176 miles since July 18th. I’ve really surprised myself this year. So proud! I’m sure you saw “National Coffee Day” floating around the twitter world on Sunday. 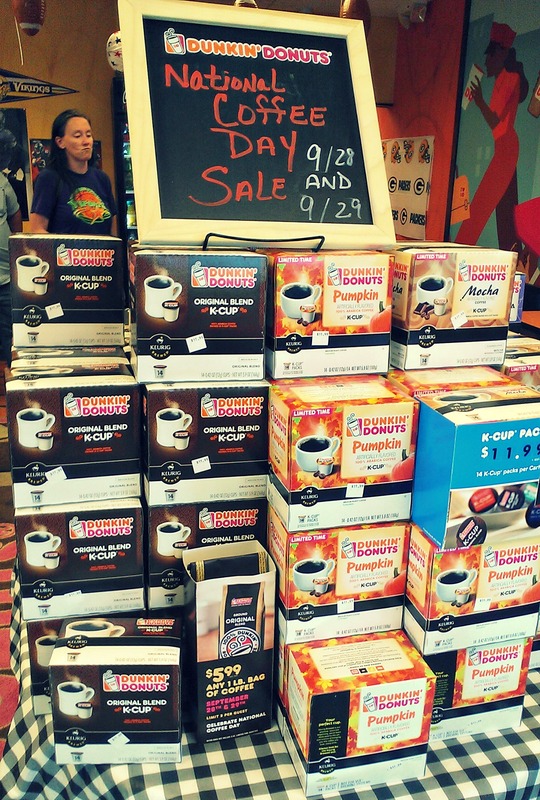 Before I joined twitter, I likely would’ve never heard of this “day.” I happened to stop at Dunkin Donuts on our way to Milwaukee Friday and saw the display for K-Cups. I drink K-Cups regularly, usually one a day, so when I saw $7.99 for a pack of K-Cups on sale for “National Coffee Day” I grabbed some. The manager mentioned they don’t offer this kind of deal even for Black Friday. Score! I have yet to try their pumpkin spice K-Cup, but I bet it’s just as good (if not better) than Green Mountain’s version. Like most bloggers, I’m a fall/pumpkin girl all the way. On our way back from Milwaukee on Saturday we stopped at the Outlet Mall in Oshkosh. One of my favorite stores there is Le Gourmet Chef because hello, they have so many samples to try! I found a little niche of “all things pumpkin” including this Spiced Maple Pumpkin Dip. The clerk recommended spreading the dip on english muffins or mixing it in greek yogurt with granola. 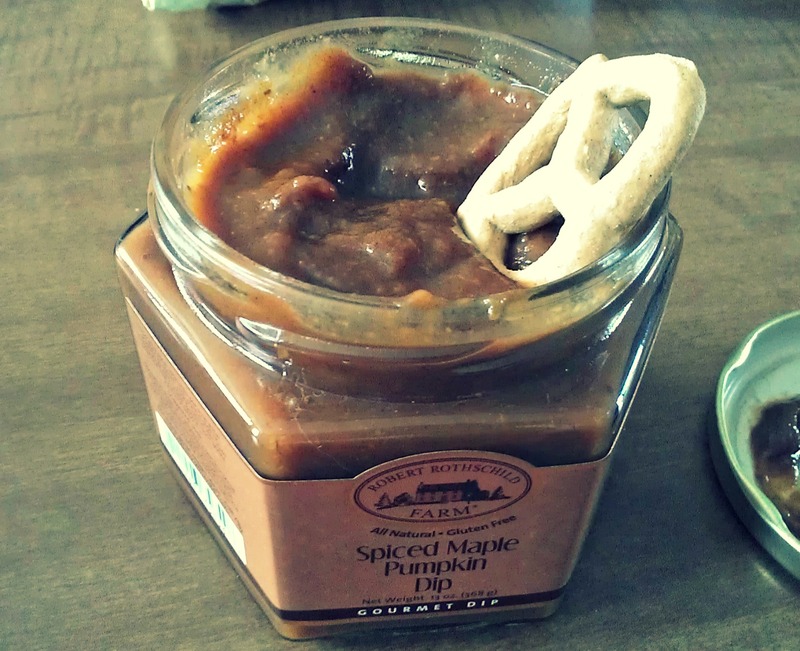 We picked up cinnamon honey pretzels to dip with it and let me tell you, amazing. Hope you had a great weekend! 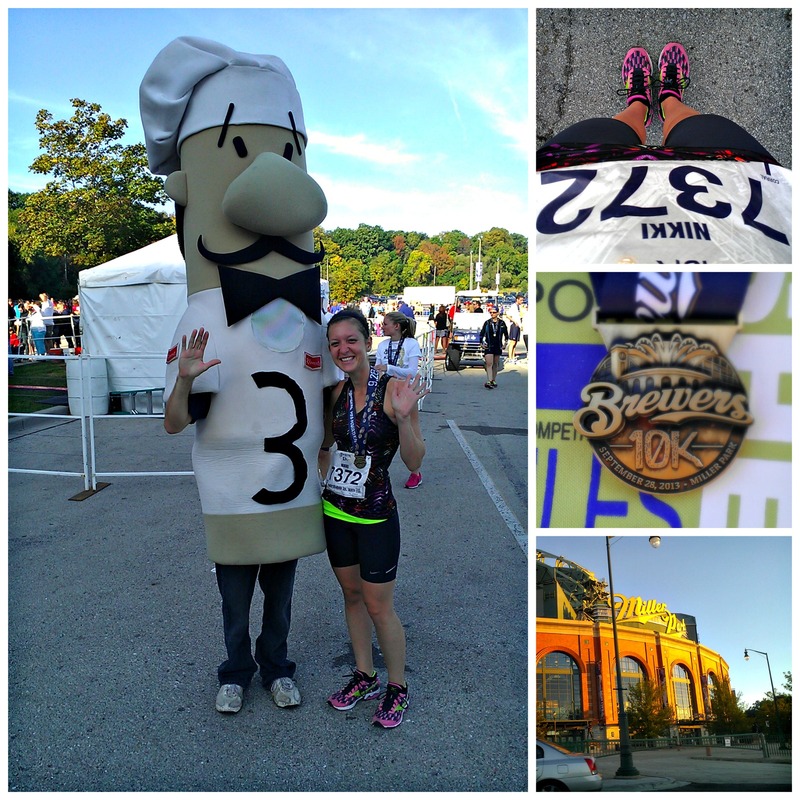 Stay tuned for my Brewers 10k recap tomorrow! Enjoy your week and remember every day is a new day! How did your run go this weekend? Anyone else race? What’s your favorite kind of K-Cup? 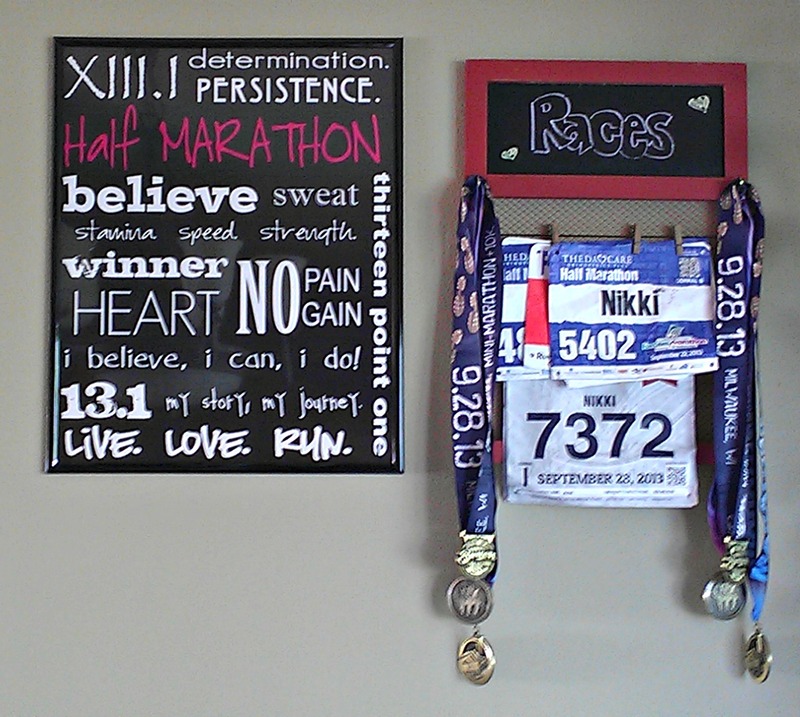 I have been perusing Etsy for a race medal holder. My medal (only one for now, but you just wait :)) was hanging over a coffee cup in our kitchen cupboard. Kind of random, but the cupboard has glass doors so I can see it inside. While Etsy has some great designs, I can’t stomach paying that much for shipping. So, I set out to make my own. I had an idea of what I wanted to make and started with Gordmans, since they tend of have random items and I happen to have a 20% off coupon. I was originally looking for something along the lines of knobs on a coat rack . Luckily, I ended up finding this awesome board with small clothes clips. 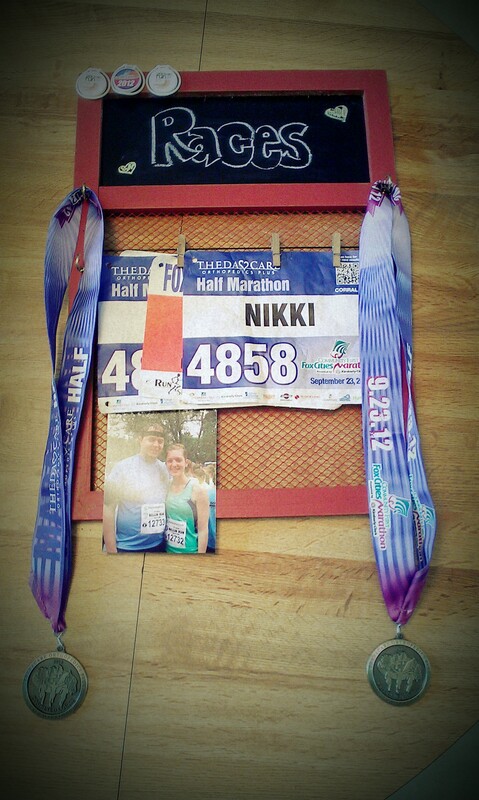 Perfect to attach my bibs! It has a chalkboard on the top. I love that I can change the saying if I want. I plan on hot gluing my timing chips around the chalkboard. My husband helped me drill small holes in the side for the hooks, and walaa! 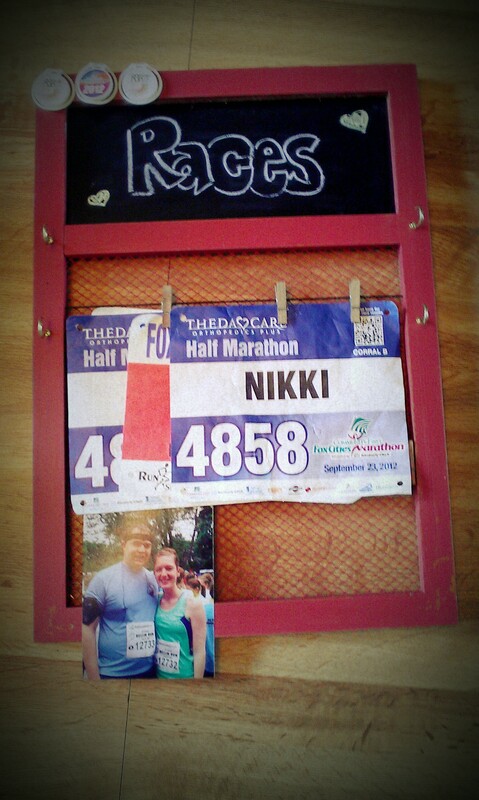 I made my very own race medal holder. Holder without medals so you can see the hooks. I love how it turned out! Now to find the perfect place to hang it!